Bad photoshop render yet again. The new Mk8 will look like a blend of the new Polo mixed with Touareg in terms of creases and new design language. Looking forward to see what they come up with. I’ve been out the GTI game for a few years. Enjoying life in rear wheel drive land. Does anyone know rough timelines for next gen Mk8 GTI and R launch? Should get a look at the MK8 GTI and R by the end of this year along with technical details. Talk of being able to order at same time or beginning of 2020. But with a new model and given its going hybrid with all the complexities that comes with it, I would avoid the first year of production until they iron out any issues. Other brands of washing powder are available. AFAIK the Mk7 R was not available for 1 year. Unless it’s different this time, we won’t see it in the UK until 2021. New engine, suspension and haldex 4WD will need more time to test and tune. 10/8/2017 - GTI Performance, Red,5dr DSG, Art Velour, Keyless, Dynaudio, DCC, Lane & DLA , rear cam, Tow Bar. That’s why I just bought a mk 7.5 now rather than wait for the new one. Could be waiting years! Plus it’ll probably be 5% wider, 10% longer and 20% more expensive if current trends are anything to go by. Not sure how accurate this is, but what on earth have they done to it?! That’s absolutely hideous. Glad I ordered the mk 7.5! All subjective but I totally disagree. Love the chunky shape of the golf except the front end on the performance models. It's just not aggressive enough, not enough like the front grill on the Audi A3/s3. The front grill is much more imposing on that mk8. I really hope it turns out like that. Also, would fully expect the mk8 Gti to go to 300 BHP and R to be nearing 400 BHP. 260 is only 15 BHP more than the current PP GTI. I would expect a much bigger jump than that with 48V Hybrid. Sadly, I reckon they'll be a price hike too to go with it. Hopefully, we'll start to see some concrete details soon. I don't expect to see MK8 GTIs or Rs in people's driveways till Autumn 2020 though. 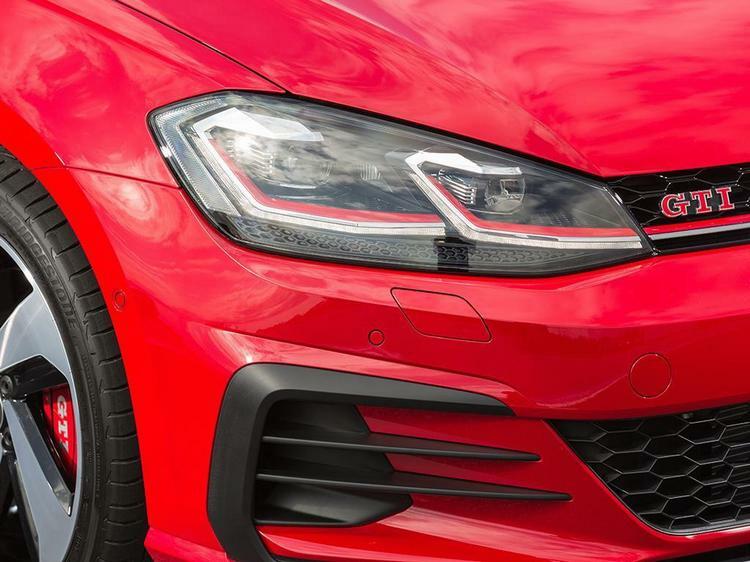 It's already been hinted that GTI will be around 260/265bhp. No way will they jump it up to 300bhp for the std GTI. ... No way will they jump it up to 300bhp for the std GTI. … unless they make it a hybrid, but I doubt that. Even with a hybrid - under WLTP, it will be a balance of power vs economy = small power increase for GTI. Being the ultimate/flagship model - fuel economy is less important with the Golf R.
Do they need to increase the Golf R/Audi S3 power that much? Or keep the RS3 as the ultimate VAG hot hatch? 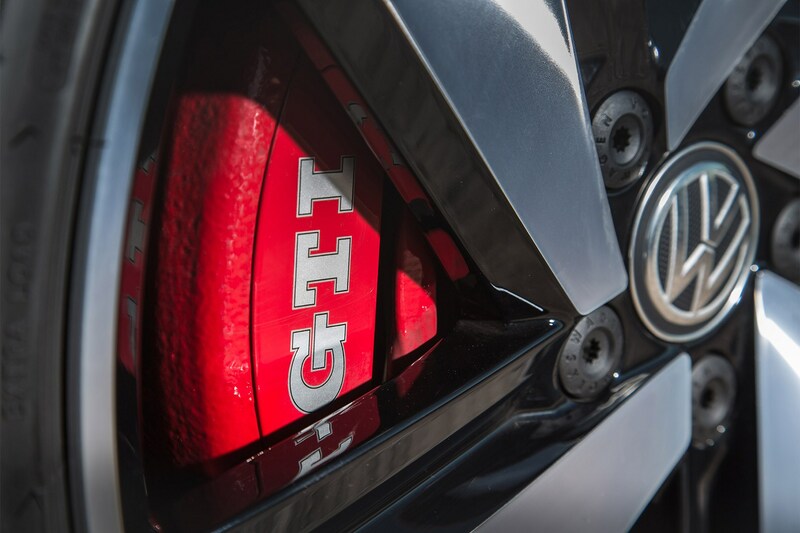 On top of the usual emphasis on fuel saving, the new tech will also benefit the next GTI and R models as they turn to electrification to push the boundaries of hot hatch performance. The core of this new performance will be the adoption of a new 48V hybrid system. 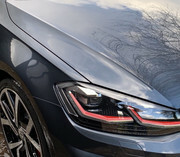 As well as supporting fuel-saving technology such as engine-off coasting and an integrated starter-motor and generator, the 48V system will also allow VW to develop electrically driven turbochargers to improve performance on models such as the GTI and R. Unlike a number of its rivals, Volkswagen will offer its next Golf as both three- and five-door options, as well as an estate, while the GTI’s classic red design clues and understated looks should also remain intact. I came to the conclusion (perhaps wrongly) that any new GTI will be based on the Skoda Vision RS concept they released details back in October. So circa 250bhp, 1.5 engine etc etc.